Come on, now. Who doesn’t love Orange Chicken? I love this healthier version of it for a few reasons. 1 – It’s not deep fried and is made in the slow cooker. This is fabulous because now that I’m a mom I’m kind of super tired by the time dinner time comes and goes and I really hate doing the dishes. Throwing this meal in the slow cooker means I get to do it earlier in the day when I have more energy and when my baby is less fussy. Plus, I always think it’s so nice to walk into the kitchen at dinner time and have a meal waiting for me. 2 – The orange flavor is awesome! It really shines through. The orange is not subtle, but takes a front seat. 3 – The chicken is nice and tender. There are more reasons I love this dish, but those are my top three. 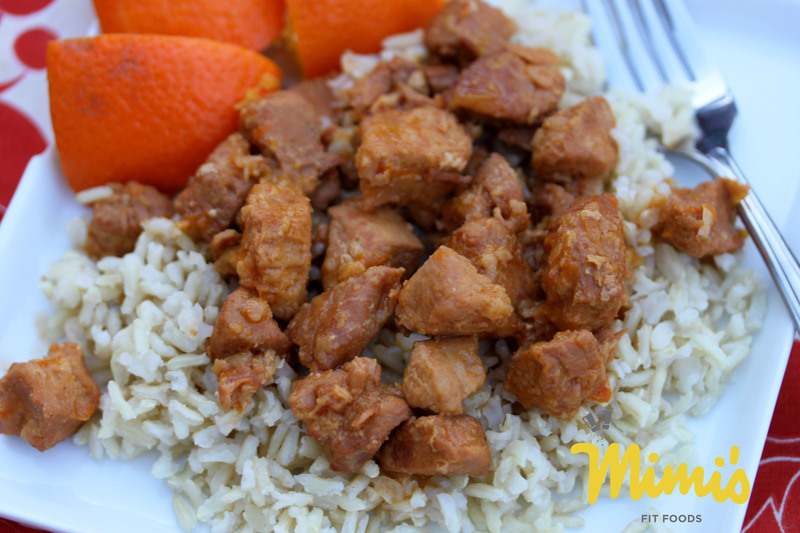 I made this fabulous Orange Chicken for some friends and one of them said, “I’ve never had Orange Chicken anywhere that tasted this good.” That was music to my ears. I was happy my guests loved it. In the same breath, I was a little sad I didn’t have more leftovers. I guess I’ll just have to make it again soon. Heat coconut oil in a large pan over medium-high heat. Place chicken in a large shallow bowl. Sprinkle flour over chicken and toss to coat. Transfer to cooking pan. Brown chicken, then remove from heat and place in slow cooker. Don’t worry about fully cooking chicken (it will finish in the slow cooker). In a medium bowl, zest 2 oranges, then juice all 4. Add vinegar, ketchup, honey, and Sriracha. Whisk together to combine. Pour sauce over chicken in the slow cooker. Cook on low for 4 1/2 to 5 hours. I can relate to your commentary and recipes. I’m making this one tonight!